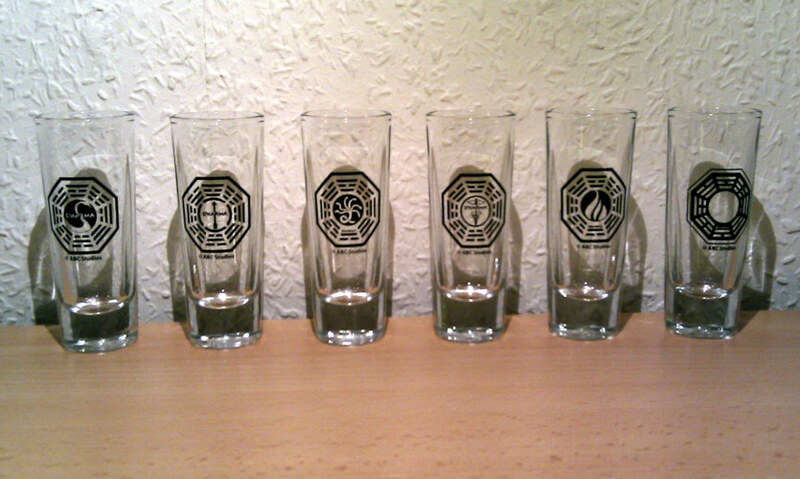 Set of 6 shot glasses, every one with a different Dharma Initiative station logo. There's the Dharma Initiative main logo, The Arrow station, The Hydra station, The Staff station, The Flame station and The Pearl station. Purchased from the official LOST abc.com online store.